We have so far enjoyed the Glenlivet line of whiskies. 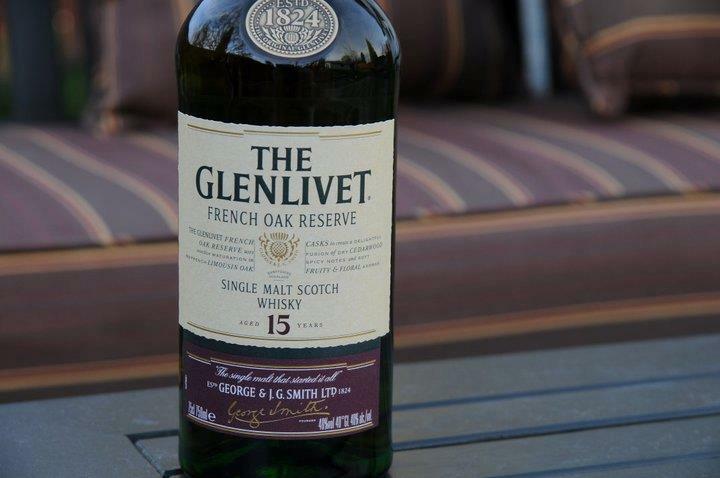 One of our favorites is their 15yr French Oak Reserve Single Malt expression. This whisky is basically the standard 12yr old Glenlivet plus an additional 3 years aging in French oak (used to age Congac). Specifically, 30 – 35% is aged in new casks. 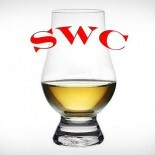 This is notable being that most maturation of Scotch whisky is executed in casks already used before to age a spirit. Our bottle today, as a result, should boast some significant flavors. Nose – Floral qualities, subtle vanilla and citrus, oak brings fruits, melons, hint of strawberry. Strong and aromatic. Taste – Sweet hit, sugary. Honey and fruity. Finish – Some spice, peat. Sweet, light fruit. Medium to long. Comment – Great flavors here, busy nose and lively. Complexity here, all components are awake and interacting. A keeper!